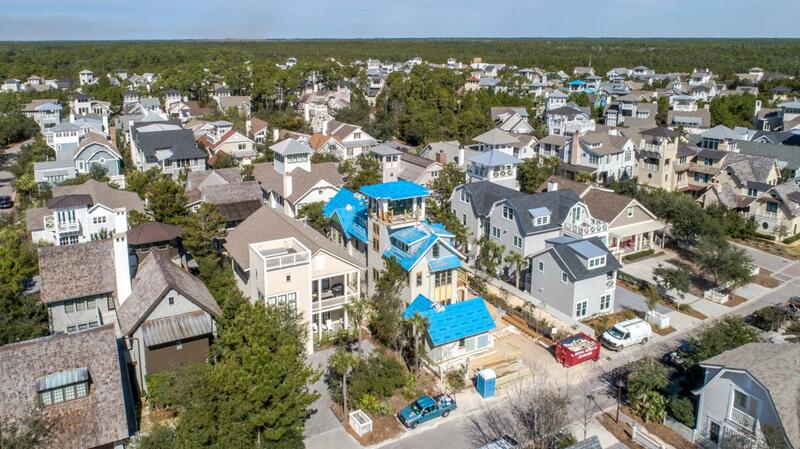 Breathtaking views of the Gulf of Mexico combined with extraordinary architecture characterize this incredible Watersound Beach property. 36 S. Founders Lane features all the requirements of a luxury home including a chef's kitchen, open-concept living room, private pool, secluded courtyard, outdoor kitchen, a spacious bunk room, large viewing tower, roomy two car garage, elevator, stunning master suite, media room, secondary living room, designer finishes, luxury fixtures, exposed brick, wood beams, hard oak wood flooring, custom cabinetry throughout, and much more! The well-thought out floor plan offers five bedrooms as well as six and a half bathrooms. Enter the ground level into the beautiful foyer welcoming you into this extraordinary property. This floor features the incredibleopen concept living space accented with exposed bricks and wood beams sharing full access to the verandah and outdoor living space. The chef's gourmet kitchen offers a gas Wolf range, Sub-Zero refrigeration, huge island and custom cabinetry. The large living and dining spaces boast room to comfortably hold multiple families. The outdoor entertainment space features a stunning private pool, beautiful fireplace and well-equipped outdoor kitchen. Additionally a powder bathroom and guest suite are found on this floor.  Climb to the second level using the striking stairwell or the residential elevator. The second floor landing offers a spacious sitting area with wet bar. Adjacent to the sitting room, you will find the second level entertainment area featuring additional space for the entire family to relax. The breath-taking master suite is the highlight of this floor. The master suite boasts vaulted ceilings and a grand fireplace. The master bathroom features a large walk-in shower, free-standing tub, double vanity, custom tile-work and huge walk-in closet. This floor also presents two additional guest suites and a generously sized laundry room. The third level of the property offers a third entertainment area with dedicated bathroom that can be used as additional sleeping space. You will also find the large bunk room with on-suite bathroom across the hall. Access the forth level viewing tower from the third floor landing. Experience unparalleled relaxation atop the forth level tower with views of the emerald waters and sugar white sand dunes. The tower boasts forever views both to the east and west. Stunning sunsets will create life-long memories from this level. 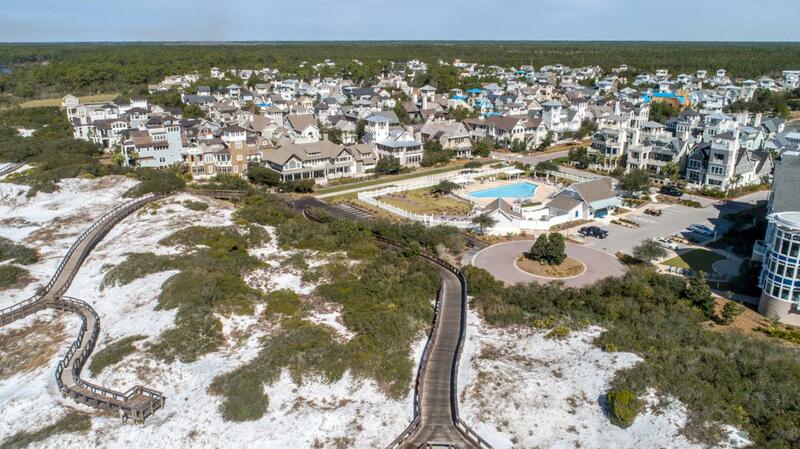  WaterSound Beach offers unmatched amenities which include incredibly beautiful beach boardwalks, staffed beach service, multiple pools, a fitness center, access to world-class golf and full-time security. Do not miss the opportunity to own this unique property!